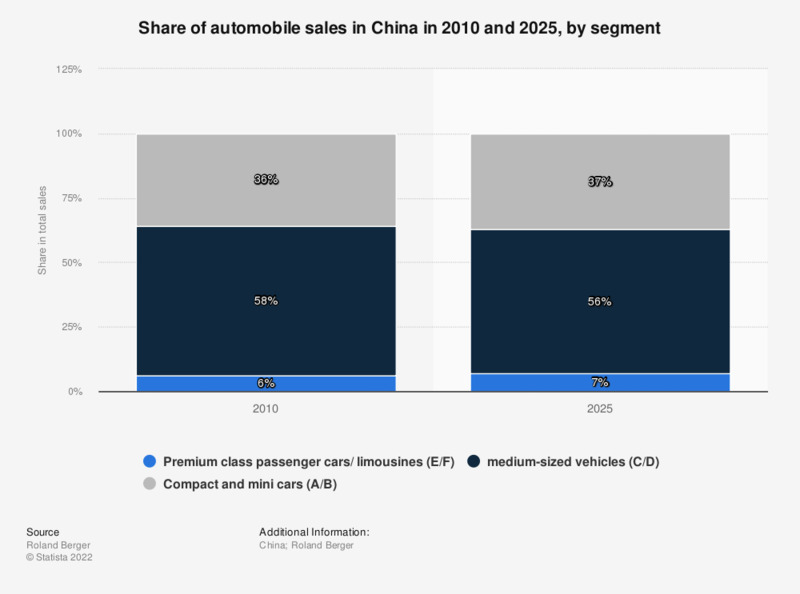 This statistic shows the share of automobile sales in China in 2010 and 2025, by segment. In 2010, premium class automobiles and limousines generated a share of 6 percent in the total sales in China. In 2025, the sales are estimated to amount to 35 million passenger cars.